LG Breadmaker kneading blade, measuring cup, and spoon. 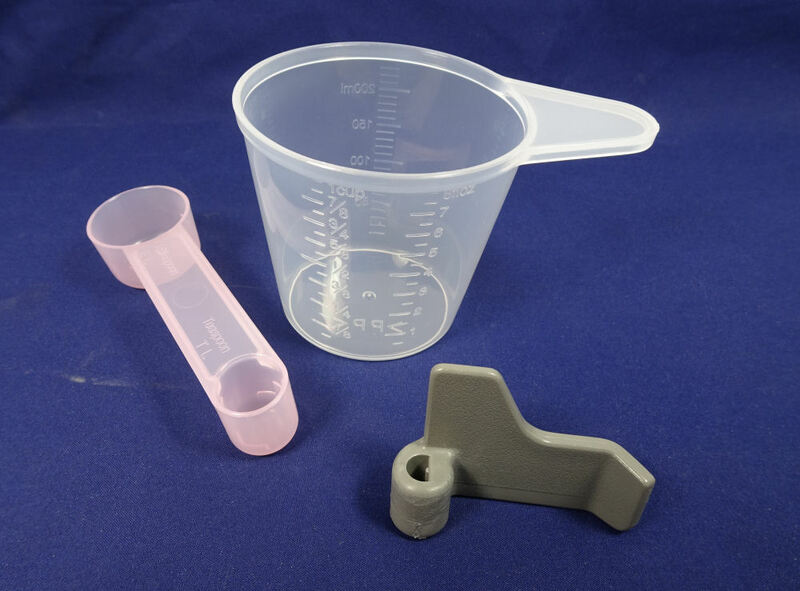 Measuring spoon, cup and kneading blade kit suitable for LG bread maker ovens. Special offer.Save at least 10% over purchasing these items separately. Measuring spoon (ADD25K187-P0) - measures 1 Tablespoon and 1 Teaspoon. 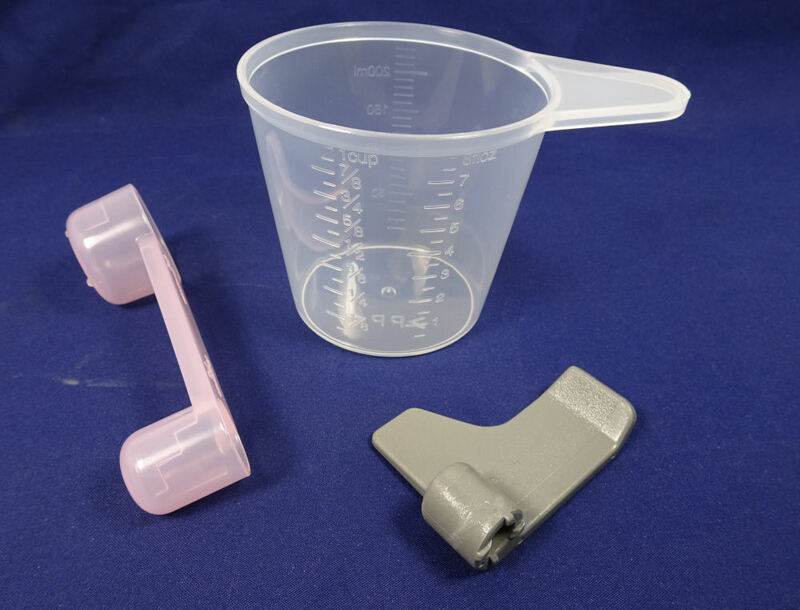 Measuring cup (ADD14A1031) - measures up to 1 cup, up to 8 floz and up to 230 Ml.